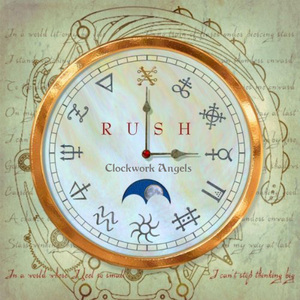 A new song, Caravan, from Clockwork Angels will be released on June 1, 2010, along with the album track BU2B (which I'm guessing is an instrumental). Rush's 20th studio album will be released some time in 2011. Both "Caravan" and "BU2B" will also be offered as a special Limited Edition CD single, available to fans through the band's official website as well as through various pre-sale tour packages. For full details, please visit Rush's official website at www.Rush.com. This page contains a single entry by jim published on May 26, 2010 8:15 AM. RUSH: Beyond the Lighted Stage wins award was the previous entry in this blog. Geddy & Alex interviewed on CBC's The Hour is the next entry in this blog.